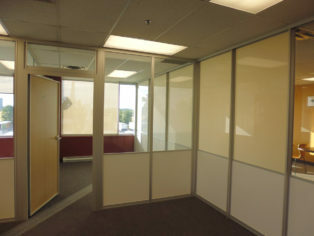 Komandor recently completed an office partition project for a large trucking company based in Toronto. 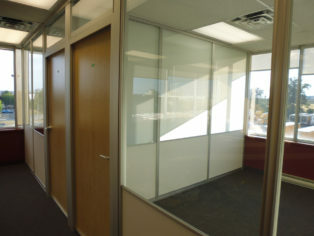 The company needed to divide vacant office space into private offices. 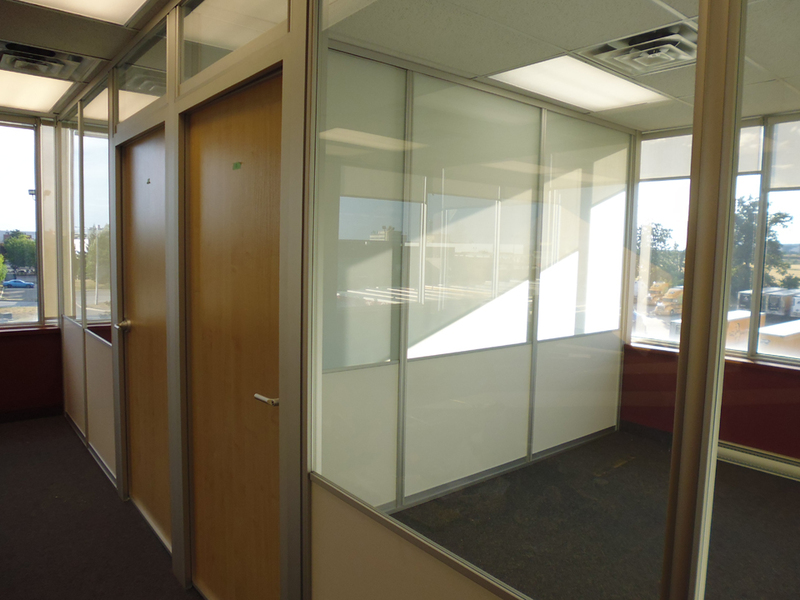 Their goal was to sublease this new private office. Also, the company wanted to maximize the use glass walls to create a sunny private office environment. 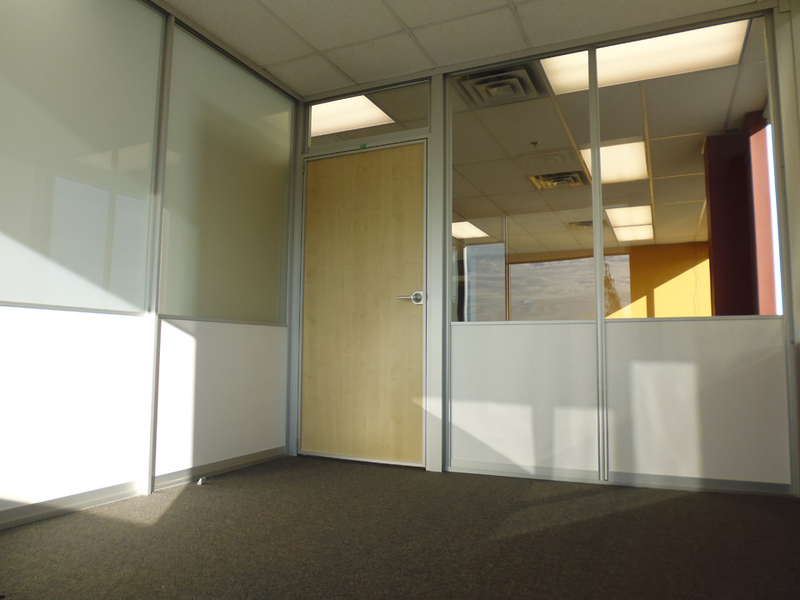 After meeting with an Office Design Specialist, and looking at a portfolio of demountable office partitions, the team developed an effective solution. Aluminum Office Partitions were installed to create walls that divided the open office interior into three (3) private offices and one large open area; suitable for a conference room, or open-concept plan. In less than 2 weeks, Komandor’s team completed the office partition project. The partition system used was Komandor’s Aurora System, which is quite easy to install. 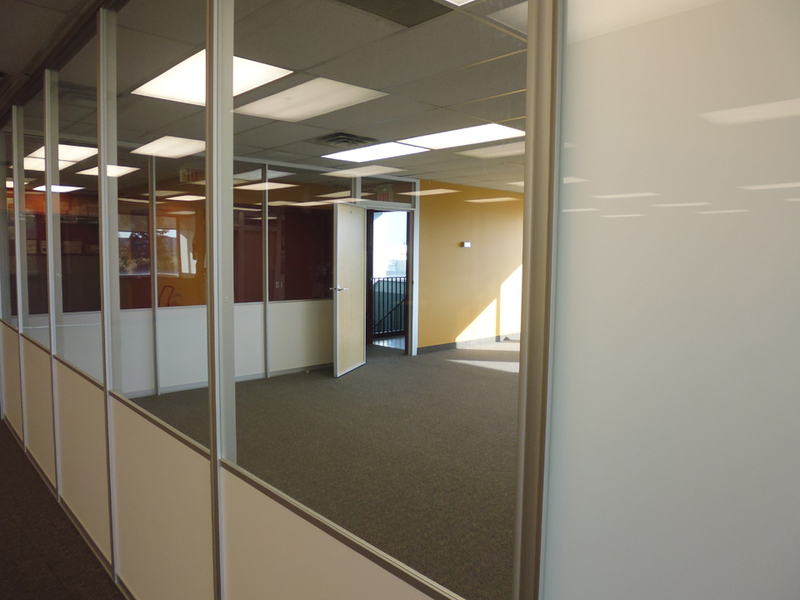 The demountable office system was installed in a finished space over existing carpeting. There was no mess. No construction, just easy installation. Best of all, the client can remove the partition system when they want to transition the space back for their own use. This level of flexibility is something client’s can expect when installing Komandor’s Aurora Office Partition System. 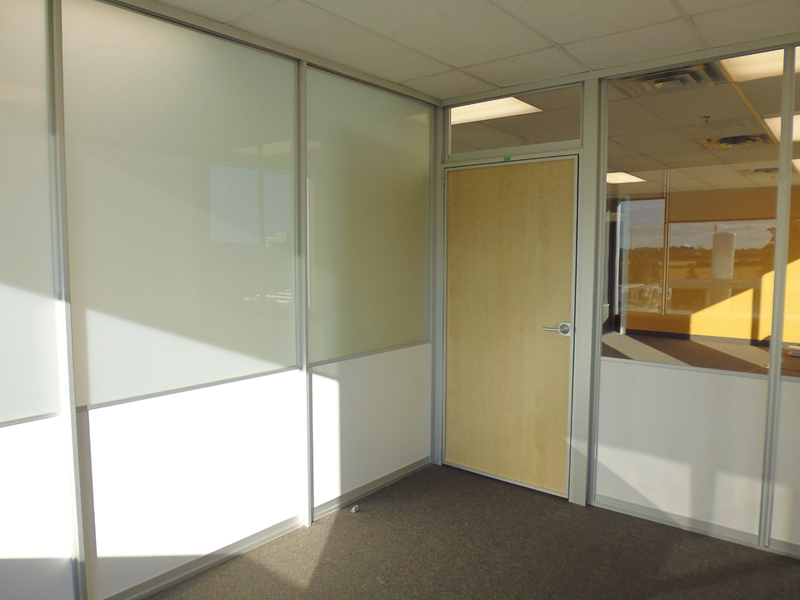 Finishes: lockset, frosted glass, maple panel insets, and brushed aluminum frame.